Want to cre­ate an event your clients and guests will never for­get? Dance Heads is the hottest event en­ter­tain­ment sen­sa­tion that keeps guests of all ages en­ter­tained and ask­ing for more. 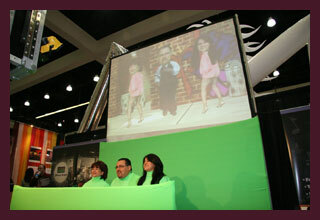 From smaller more in­ti­mate cel­e­bra­tions to larger cor­po­rate gath­er­ings we will make your next event come alive. Wher­ever it’s booked Dance Heads cre­ates an over­whelm­ingly en­thu­si­as­tic re­sponse from event guests. No one has ever seen any­thing like it!